At some point you will very likely discover that your Polish Soldier relative left behind a family. Almost all of them (In Eastern Poland, i.e Kresy) were "deported" or displaced to Labour Camps (Gulags) in Siberia. When we say "Siberia" we are also including Kazakhstan (Or Kazakh SRR as it was known back in 1940). Although a completely separate country it was more often than not referred to as being "Siberia". 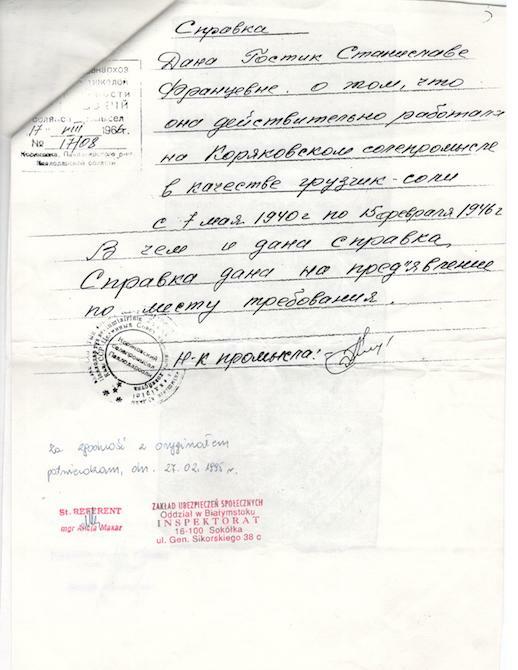 Therefore a lot of the logic around getting records from Siberia is also true of records from Kazakhstan. Many of these Siberian Deportees (who called themselves "Sybiriaks") on return to Poland joined organisations setup to support them. Of these the most well known is Zwiazek Sybirakow. 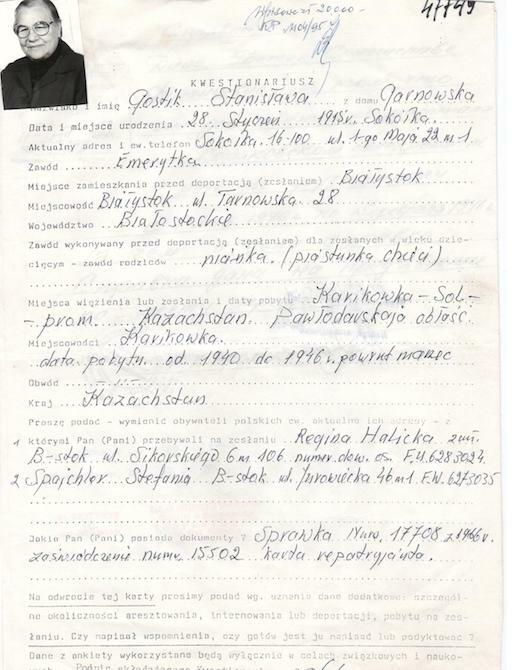 One of the things many Sybiraks did was write a brief testimony of where they had been and what they had done. Often a photograph of them was taken at the time as well. So applying for a copy of these testimonies will fill in some more parts of the jigsaw puzzle of your family history. In the email tell them as much as you can about your relative and all known variations of their name. Also state how you are related to them. 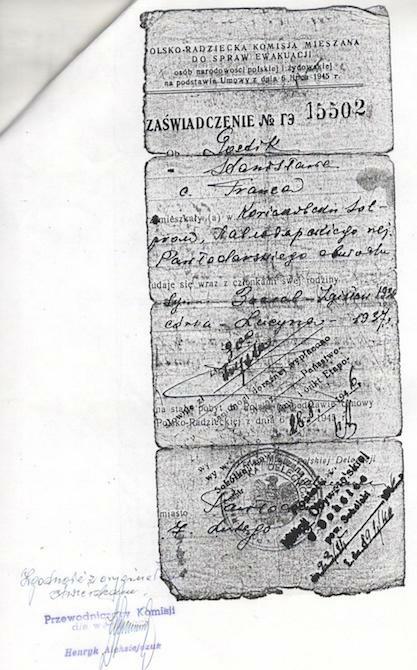 Each survivor of Siberia who filed a testimony completed a fairly short A5 account. It doesn't tell us the pain, the emotions, the losses they suffered. But, it will give you some useful information. Here are the records I got back for my grandfathers first wife (In Poland). Note the short account, a fabulous photo of her and the deportation and repatriation document.